Add the halved garlic cloves, flip after two and a half minutes and add the olives, rosemary, and peppers. Stir in the wine and chicken stock. As it bubbles, scrape any residue loose with a wooden spoon. Reduce heat to medium-low, add tomatoes, and cook for 10 more minutes, stirring occasionally, until chicken reaches 165 degrees. If the juices in the pan reduce too much, add 2-3 tablespoons of chicken stock or wine. Chicken should be very tender and tomato skins should begin to crack. 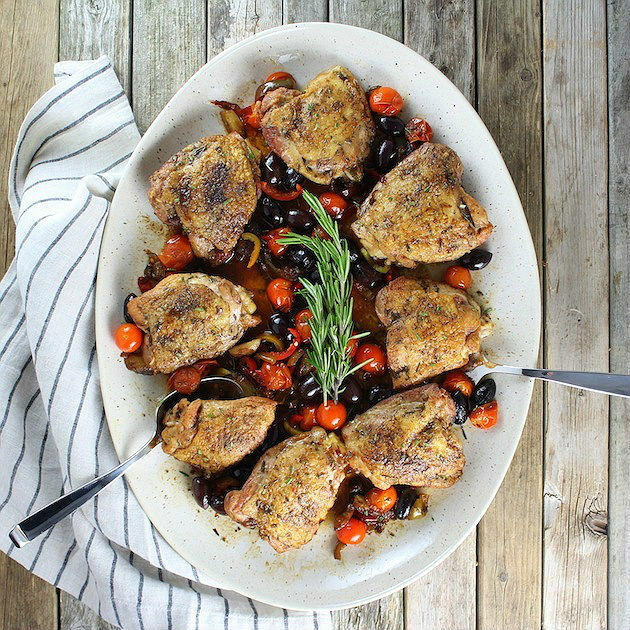 Amazing Abruzzo-style chicken fricassee w/garlic, chopped rosemary, Kalamata olives, hot cherry peppers, cherry tomatoes, & white wine. 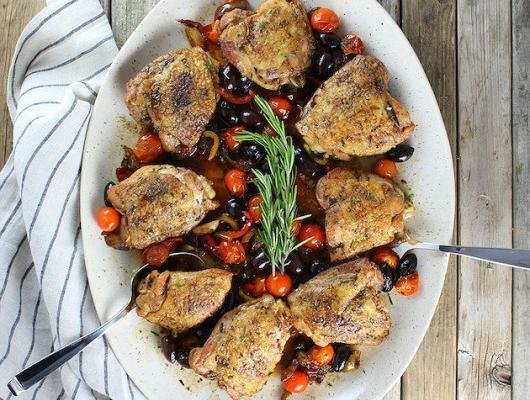 Hearty, healthy, one-pot comfort food.